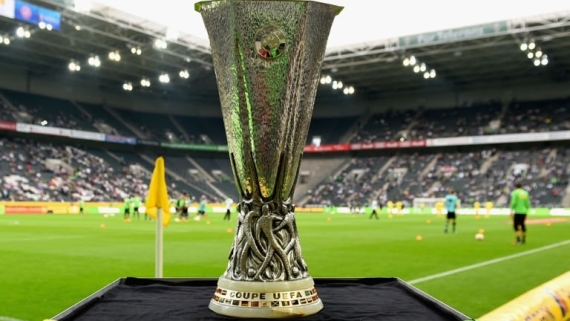 The Europa League returns this week as the eight of the 16 remaining teams will bid the competition adieu on Thursday evening. Manchester United will welcome Liverpool to Old Trafford needing to overturn a 2-0 deficit if they’re to progress to the next round and add a bit gloss to their poor season. Elsewhere, Borussia Dortmund will look to stick the boot into Tottenham when they travel to White Hart Lane while Villarreal make the relatively short trip to Germany where they will look to defend their 2-0 lead heading into the second leg. I’m not normally one to blow my own horn, but this week I’ll make an exception. Last week I went went three from three on what would have been a 12/1 treble. This week I’ll try and do the same! Bayer Leverkusen were comprehensively outplayed last time out at the Estadio El Madrigal where Villarreal beat them 2-0 in the first leg of their round of 16 clash last Thursday. In truth, Bayer never really turned up on the night and made things easy for the Spanish side. The Germans surrendered possession far too easily when they were on attack leaving them vulnerable on the counter-attack. They did manage to beat Hamburg in the Bundesliga on the weekend, putting an end to their five-game winless streak. Whether or not they can take advantage of a Villarreal side that surrendered a 2-1 halftime lead to go down 4-2 against Sevilla on Sunday evening. In many ways it was a strange result, especially considering how good the Yellow Submarine have been on defence this season. They’ll more than likely be looking to shut up shop against the Germans and sit on their two-goal lead. With this in mind, the draw is tipped at 5/2. One can hardly blame Mauricio Pochettino for fielding a significantly weakened side as he seemed happy to sacrifice success in the Europa League in order to close the gap on Premier League leaders Leicester City. As it turned out, the likes of Josh Onomah, Kevin Wimmer, Kieran Trippier and Tom Carroll couldn’t handle the attacking threat posed by the Germans. Like Manchester United, Spurs could have found themselves five or six down heading into the second leg had the Germans converted even half of the avalanche of chances they created. You can bet your bottom dollar that Pochettino will rest majority of his first team stars with an eye on this weekend’s home clash against Bournemouth in the Premier League. Dortmund followed up their dominant display against Spurs with a regulation 2-0 win over Mainz at the weekend. BVB are now favourites to win the Europa League while also remaining hot on Bayern Munich’s heels in the Bundesliga. Their front three will be salivating at the prospect going up against what is likely to be a largely second-string Spurs back four. Marco Reus, Shinji Kagawa, Pierre-Emrick Aubameyang, Gonzalo Castro and Henrikh Mkhitaryan should have relatively few problems fashioning chances against the English side. I’m going to stick my neck out here and back Dortmund on the Winning Margins Market: To Win by Three Or More Goals at 72/10. It’s not beyond the realm of possibility, and at 72/10, offers excellent value. If you’re not feeling as brave as I am, take Dortmund on the 90 minute win at 11/10. Had it not been for some lacklustre finishing from Liverpool – I’m looking at you, Philippe Coutinho – and some heroic goalkeeping from David de Gea, United could well have come into the second leg of this tie four or five goals down. As it stands, however, they can still overturn the two-goal deficit they’re faced with at the moment. Louis van Gaal’s men will need to improve in a big way though having been comprehensively outplayed in their last two fixtures. The Dutch mentor has yet to get anything out of his expensively assembled squad. Memphis Depay was awful while Michael Carrick looked devoid of any confidence. There were sloppy touches from Anthony Martial while even the normally unflappable Chris Smalling looked like a foal on ice at times. Liverpool will come into this game fresher than their opponents after their weekend fixture against Chelsea was postponed due to the Blues’ FA Cup tie against Everton. If Jurgen Klopp’s men can go to Old Trafford and play with the same intensity that they showed at Anfield last week, they’ll fancy their chances of extending their lead. The front three of Coutinho, Roberto Firmino and Daniel Sturridge consistently gave United’s back four problems with their movement; even Adam Lallana looked up for the challenge and put in one of his best displays in Liverpool Red since his big-money transfer from Southampton. There are very few United players that would make it into my combined Liverpool / United side. As such, I’m backing a buoyant Liverpool side to put United to the sword at Old Trafford on Thursday evening.